It seems more training needs to be done on open government, and since Unruh lost her city council race in Tea yesterday (24/33 – That’s the vote count, not percentage) she will have plenty of time to figure it out. 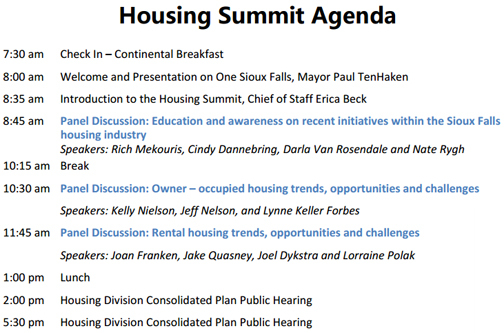 She did a presentation yesterday on a Sioux Falls Housing Summit during the Sioux Falls City Council informational meeting. While the concept is a good idea, it ignores the whole purpose of having a public summit without making it available to the public. Yes, the public input sessions later in the day ARE open to the public w/o paying a registration fee, but there are some other issues with this summit. • They are only asking people who are basically (dirt) poor to comment about housing. Most of the people who are affected by affordable housing are actually people who are working and struggling to pay rent or mortgage and spreading themselves thin working multiple jobs. These are the biggest ‘chunk’ of people that need to be served, but see, there is very little ‘government handouts’ for these folks so they focus on the very poor and underserved so they can gobble up that grant money. Who wants to hear from the working poor anyway? Please, get back to work! • The event is NOT being filmed (or planned to be filmed) and they are hosting it on a Thursday instead of a Saturday when persons from the public could attend. This of course is done on purpose so the bureaucrats don’t have to work on a Saturday for the people they SHOULD be working for, the public. We would hate to inconvenience them while collecting a paycheck from us. • They are charging a $20 fee for people to attend a public event. They argue this is to pay for the grub. Couldn’t they find a sponsor for the grub? The past mayor used to host a Saturday neighborhood conference that was FREE, with FREE food at a public venue (The Orpheum) and was filmed. 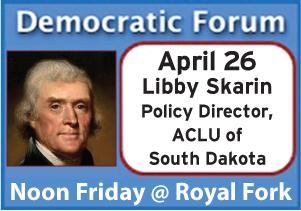 Even if the most transparent mayor in the history of our city (snarc) can figure this out, I’m sure a Tea, SD resident can figure it out. Once again, in attempt to make all the Harvardy, Bloombergy, New Yorky peeps happy about PTH’s night courses on leadership and innovation, the administration is missing the bigger picture about serving the public . . . it’s about serving the public. People of low and moderate income, people who are homeless, racial and ethnic minorities, people of limited English proficiency, people with disabilities, and entities that provide services to these populations are specifically encouraged to attend. Yet, they don’t want these people showing up to public input at the regular council meetings? What gives? 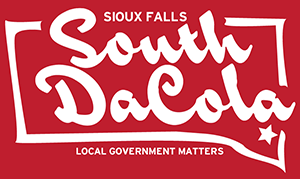 We don’t have an affordable housing issue in Sioux Falls, we have a wage issue. I have often said our affordable housing program needs an entirely different approach. Instead of tearing down houses (that we could fix up for much less) and building new structures (that we take a hit on when we sell them) we could be using the money to re-fab older homes and apartments. The city gets about $2.1 million in Federal funds a year. You could fix up between 60-80 homes for that money instead of just building 20 homes at a loss. You could also set up financing, etc. which could triple that number easily. Mayor TenHaken needs to clean house in community development and affordable housing and take a new approach that is committed to providing more core neighborhood cleanup than just a couple houses here and there and setup a program that focuses on entire neighborhoods instead looking for poor people to fill their quota. This is NOT an endorsement of Jolene, I just liked what Marc had to say. Especially his thoughts on celebrating reducing numbers instead of celebrating helping more people. He also brings up how it is cheaper (for taxpayers) to find the homeless housing than continuing to leave them homeless. This is something I preach constantly. It just makes economic sense to get people working and providing for themselves instead constantly dependent on programs. We really do make it too easy in SF. Huether, who did not attend the work session*, said he’s apprehensive about dedicating resources beyond traditional functions of municipal government. Trust me, I would much rather see my money spent on something else, but this facility is helping to keep people off the streets, so it is money well spent. Unlike $500K to Huether’s private tennis machine shed that has done ZERO to reduce crime and homelessness in Sioux Falls. What is going on out there anyway? We have never gotten a report. *I wonder why the mayor didn’t go to the work session? According to B-n-B he is a council member, shouldn’t he be at these meetings? 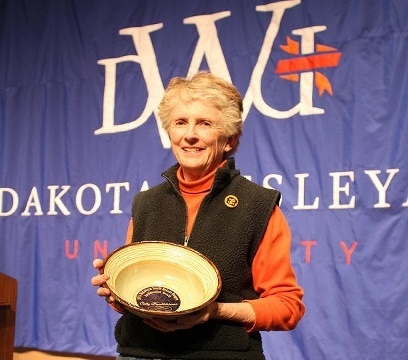 Brechtelsbauer received the award Thursday during the McGovern Hunger Summit at Dakota Wesleyan University. She has been serving as the South Dakota coordinator for Bread for the World for more than 30 years. 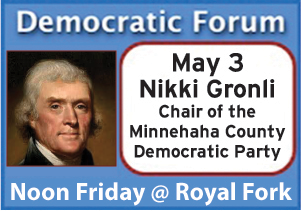 Her primary efforts revolve around policy reform to aid those with the fewest resources. 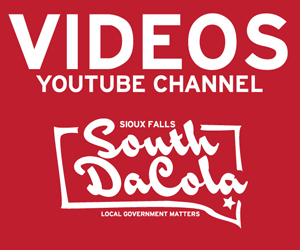 The Sioux Falls city council had a discussion today during the informational about what to do with the problem at Heritage Park. I have no idea of what a solution would look like, it’s like whack a mole. But I do see how this came about. • Concentrating all the poor and homeless services into one neighborhood (deciding to put the Bishop Dudley house next to the Banquet). • Allowing alcohol in some parks but not in others (eliminate it in all parks). 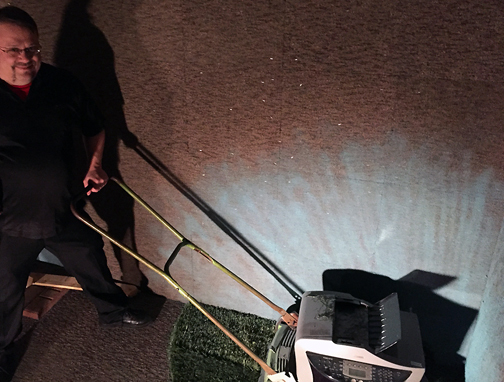 • Lots of poor and impoverished people in Sioux Falls (crap wages). The city council isn’t going to solve this problem overnight, but first they have to look at the symptoms of the disease and realize where they messed up, then correct the bad decisions that were made in the past. Psalm 106:3 Blessed are they who observe justice, who do righteousness at all times! At the last minute, I decided to show up to this meeting. It was a packed house and held in the room where the men normally sleep. I chose two biblical verses to start out this post, one about helping the less fortunate and one about fairness, because they both apply. Did I go into the meeting with an open mind? That’s hard to say, but I left with some clarity. The meeting started with the director, Chad Campbell explaining all the good things the house has done since it has opened in January. And those accomplishments took him almost 40 minutes to lay out, and they are great. As the public began to ask questions, the lights went out (power outage) but the meeting continued. Several people commented on the great things they are doing, and several neighbors commented on improvements that could be made. I commented that there is NO DOUBT the facility is needed, and doing good things. But I questioned the process in which the location was selected. Mr. Campbell did a fantastic job of explaining all the other services in the area as for picking the location, as did City Councilor Kenny Anderson. But I was disappointed that Mr. Campbell commented that those decisions were made before he came aboard. While that is true, I suggest that Chad studies those discussions and educates himself in what happened in the past. They will be very useful to him in the future. History teaches us to not repeat mistakes . . . most of the time. I also commented that many who were in the room tonight, including staff, would probably be uncomfortable having this shelter in their neighborhood, I even suggested having it next to the Bishop’s home. I mentioned that I watched the Safe Home discussions very closely, and felt that it’s location choice was well thought out, and that has proven to be so. Remember, my main reason to comment tonight was not about the mission of the house, but the process that was performed to pick the location. It’s no different then the Hotel sized home being built in McKennan Park, or the Walmart in the SON neighborhood. Neighbors and citizens must be listened to when zoning decisions are made. Period. It is beginning to sound like a broken record and a dysfunctional turn table. I personally believe in the long run, the house will actually improve the neighborhood, but I will also warn people, it’s going to be a rough first year, including this summer. At the end of the day, we need to use this house as an example of how feelings and relationships get burnt when we don’t listen to all sides. That is why I spoke up tonight. The downtrodden and the property owner all breath and share the same air, we are all brothers and sisters. BTW, would like to commend all the Police Officers, including Mr. Larson for attending tonight. Would also like to thank local leaders and lawmakers Kenny Anderson, Michelle Erpenbach, Darrin Smith and Pat Kirshman for attending tonight, and anyone I might have missed. True leadership comes from courage and the willingness to listen and participate in a community discussion.